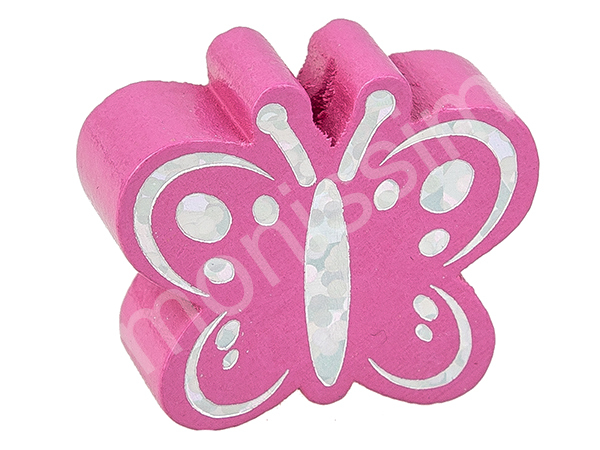 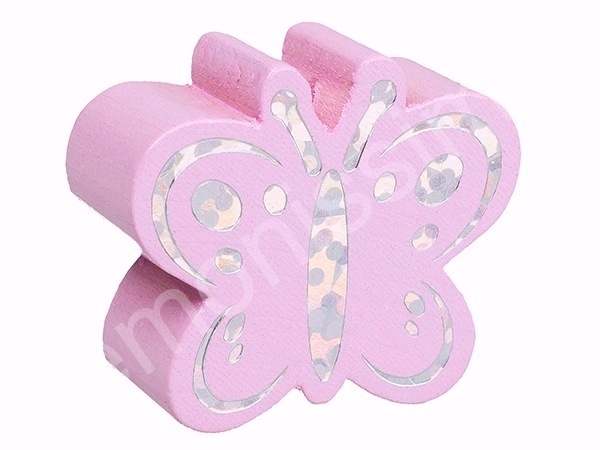 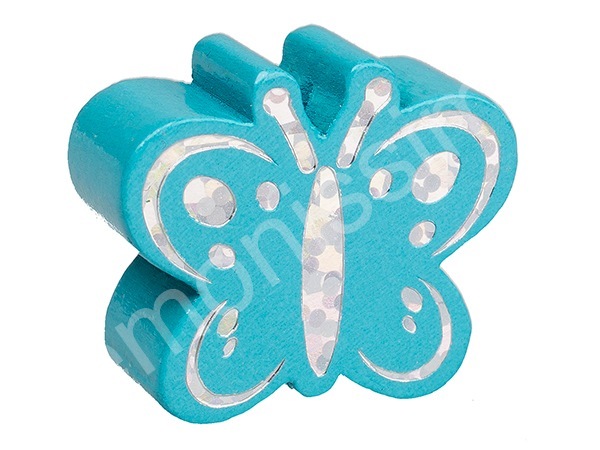 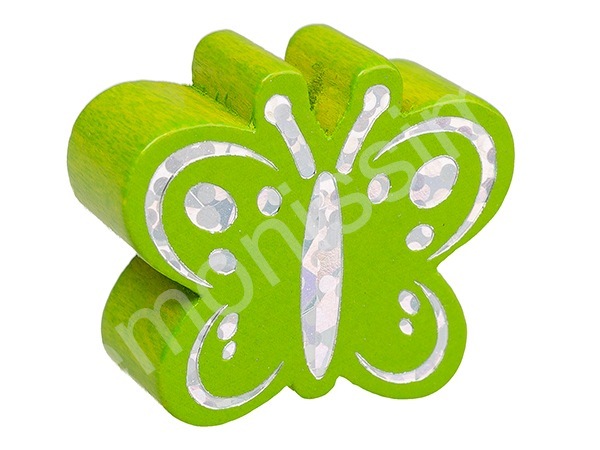 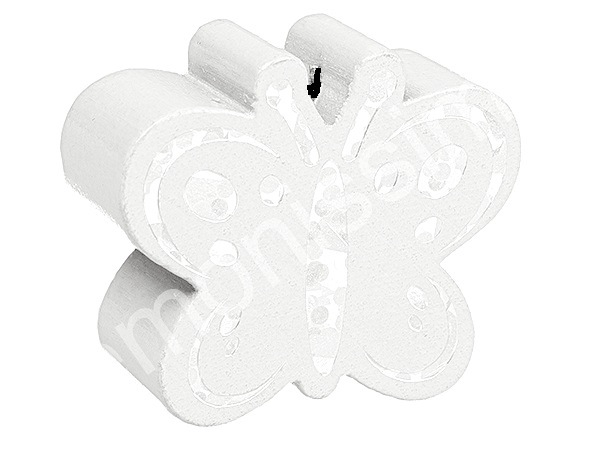 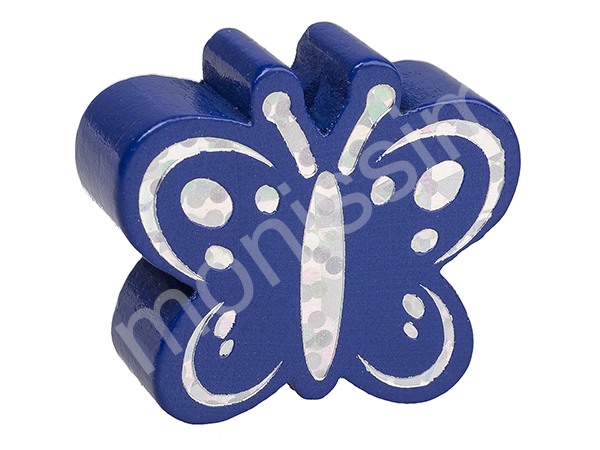 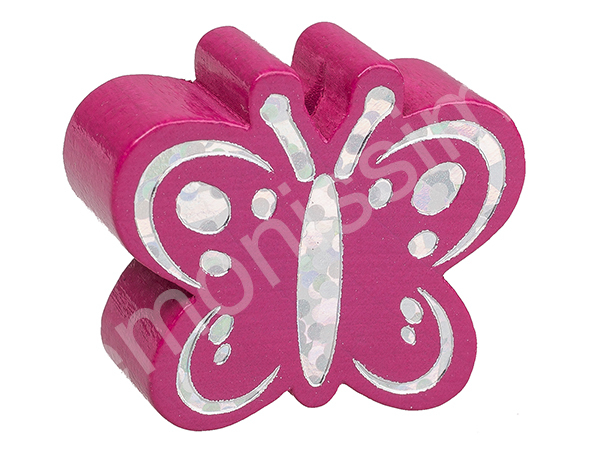 You get the motif bead glittery butterfly with a size of 27 mms x 23 mms x 10 mms. The hole is vertical and approximately 3.0 mm in size. The motif bead is suitable for Pacifier chains, Grabbing Toys and pram chains.